[SatNews] Spacecom (Tel Aviv Stock Exchange: SCC), operator of the AMOS satellite fleet, is now providing SPI International with a full service uplink, encryption and capacity on the AMOS-3 satellite at the 4 degrees West prime orbital position for SPI International's activities in Europe. This multi-year, multi-million dollar deal provides services for SPI International's European HD and SD channels. Spacecom is working closely with TTCOMM, its partner in Poland, to provide this full solution. SPI International, an international media company, contributes an array of theatrical films and television programming around the world. In Poland, the company owns Kino Polska, the country's number one movie/TV series channel. 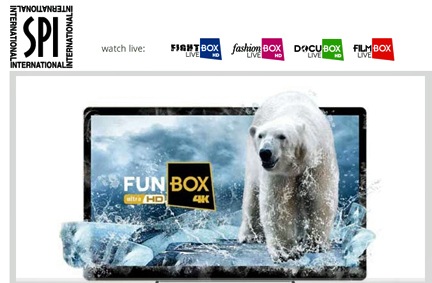 Via AMOS-3, SPI International is contributing regular and premium bouquets including thematic premium content, currently on six HD and five SD channels, to Poland's cable companies and DTH operators. 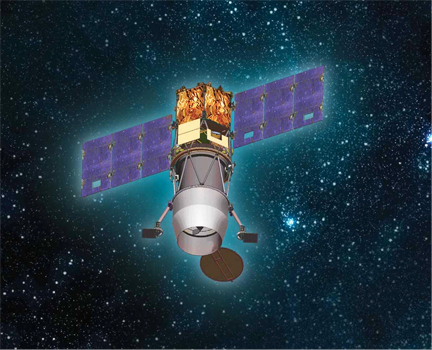 Artistic rendition of the AMOS-3 satellite. At 4 degrees West, AMOS-3 is co-positioned with AMOS-2. This 'hot-spot' serves Eastern and Central Europe and the Middle East. In 2016, AMOS-6 will join the two satellites further strengthening the 4 degrees West position. AMOS-6 will have a 16 year scheduled life span, and expand territories under current service by adding Western Europe and multi-beam coverage over parts of Africa to existing Central and Eastern Europe and Middle East coverage. “By working with Spacecom's AMOS-3, we are able to expand our presence in Poland and enlarge the audiences we want to reach. Kino Polska is a highly important element of our international business and we look forward to strengthening its core," said Loni Farhi president of SPI International. Jacob Keret, Spacecom senior vice president sales Europe, North America and Middle East, said, “AMOS-3 provides high quality service on powerful platforms around Europe and the addition of SPI International in Poland is an important element for our growth in Eastern Europe."